Editors of National Geographic Your Shot picked 25 Amazing Photos of Life Underwater from dozens of millions pictures sent by participants of this popular contest. 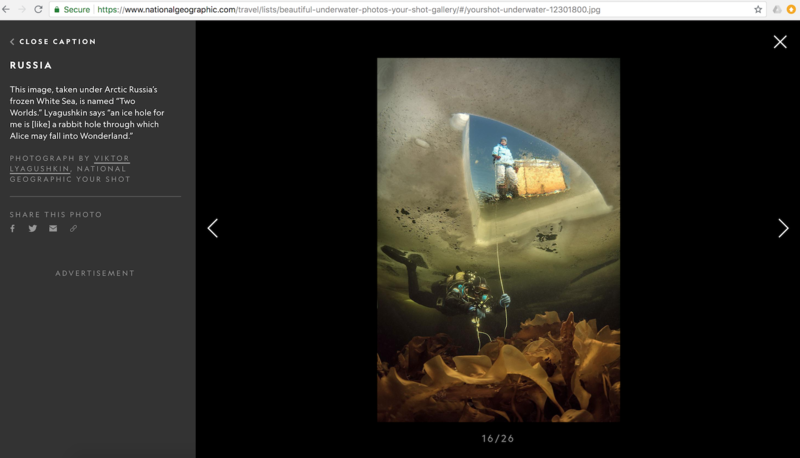 Editor’s selection included two photographs by Viktor Lyagushkin: Orda Cave underwater landscape andWhite Sea under ice. 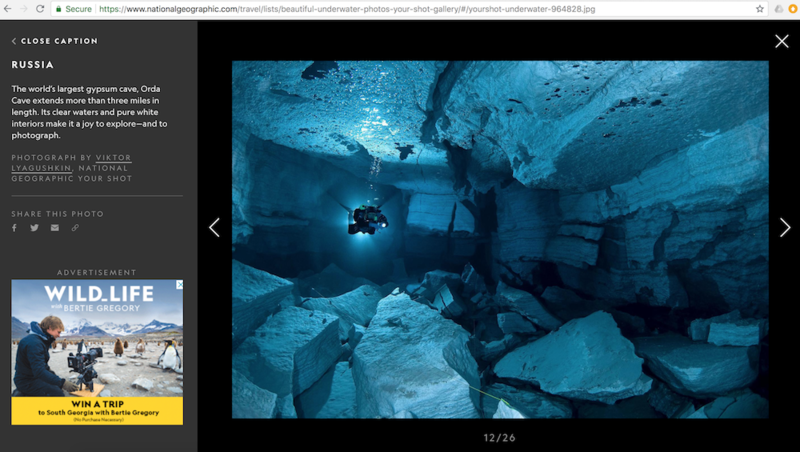 This entry was posted in contests, orda cave, publications, Uncategorized, white sea and tagged contest, National Geographic, Orda, publications, White Sea by SnowKitty. Bookmark the permalink.